As N.W.A suggested ‘Express Yourself, come on & do it’, You can express just how cool & trendy your baby is in this hip hop baby grow. 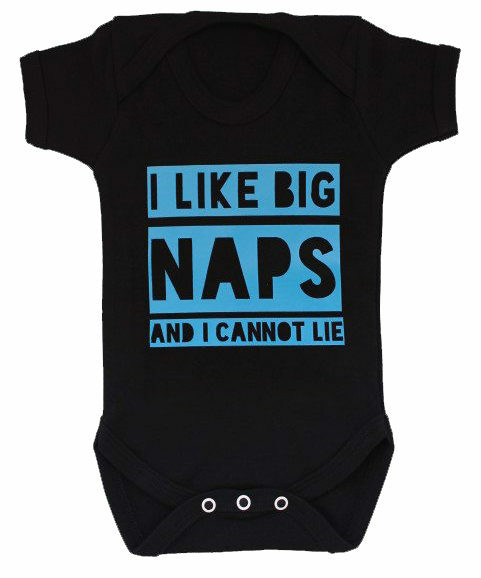 Keep your newest hip hop family member cool & comfortable in this soft black baby grow. 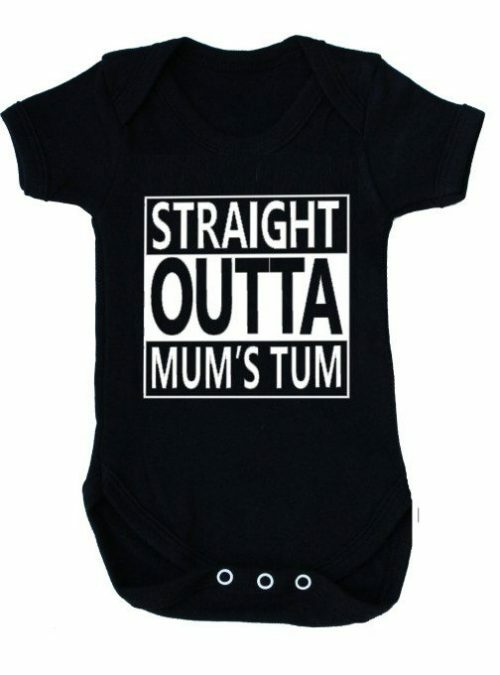 Print reads ‘STRAIGHT OUTTA MUM’S TUM’ in the style of Straight Outta Compton. Sizes 0-3 months or 3-6 months & now in 6-12 months too! 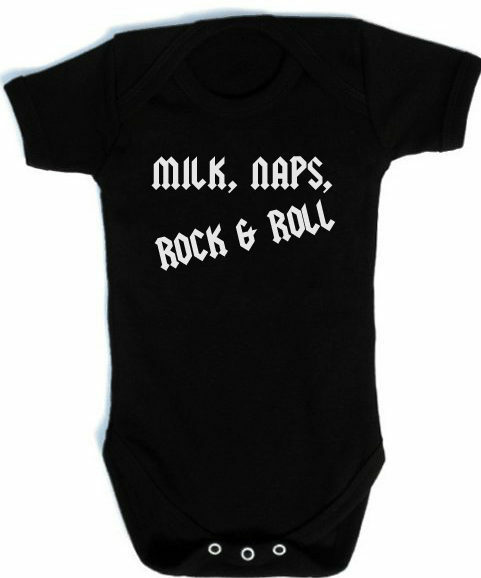 A perfect baby gift for hip hoppin’ boys & girls. See our other hip hop baby clothing.